On behalf of all the CAREing Paws Teams, we would like to thank our generous supporters for their dedication and belief in our mission, our values, our volunteers, and those whom we serve. CAREing Paws continues to rely on, and is most grateful for, the generous support of our contributors and volunteers. Thank you for your time and energies to help build and grow our program. All Paws Up to Sue Burnett and Josie who saw an opportunity to apply for a community grant from Constellation, an Exelon company, and WON!!! We are most grateful for the support of our volunteers who tirelessly seek opportunities to help kids learn to love reading!!! Ginny Anderson with Latte and Sue Burnett with Josie are pictured here with two of their young readers at the Tyrone Public Library. petsmart distribution center (DC-38) in newnan, GA donates to careing paws! CAREing Paws received the BEST Christmas present ever from the PetSmart Distribution Center in Newnan, GA! We wish to thank the PetSmart DC for their belief in us, our mission and our values. We are proud to be a part of the local Newnan community and look forward to serving the people, their families and their pets together! CAREing Paws Awarded Planet Dog Foundation Grant! CAREing Paws is delighted to have been selected by the Planet Dog Foundation Board of Directors to be a Spring 2013 grant recipient! We wish to thank the Planet Dog Foundation for supporting us, our mission and the children we serve in our communities. The sale of Planet Dog products funds the Foundation, so please consider their amazing, durable, eco-friendly and philanthropic products for your pet! Every purchase you make of Planet Dog products helps support canine service programs like CAREing Paws! Please visit the Foundation’s website at www.planetdogfoundation.org and Planet Dog’s at www.planetdog.com. The hudson family foundation supports careing Paws! 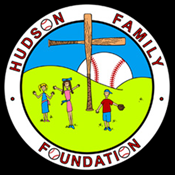 The Hudson Family Foundation is committed to making a positive and long lasting impact in the lives of children who have a genuine need for assistance with regard to a specific physical, emotional or financial circumstance. All 4 paws up to Tim Hudson of the Atlanta Braves and his family for their generous support of CAREing Paws and all the children we serve in our communities. 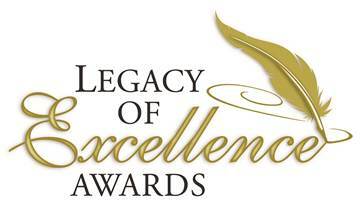 CAREing Paws Awarded the legacy of excellence award!!! CAREing Paws was named the 2012 Blue Ribbon Partner and Prestigious Partner with Palmetto Elementary School!!! We would like to thank Palmetto Elementary School, Fulton County Schools, and the Fulton Education Foundation for honoring us with this award! All 4 Paws Up to Lynn Pulliam and Zoe, the CAREing Paws R.E.A.D. Team at Palmetto Elementary School who made this all possible. Keep "enriching the lives of others by embracing the power of the human-animal bond"! Careing paws wins grants from the kroger foundation and the abreu charitable trust! B.A.R.K. (Booth Animal Rescue Kids) at Booth Middle School supports CAREing Paws with book donations!